MMG Exploration Holding Ltd, a Global resources company has started a major nickel sulphide mining program at Ntaka Hill of Southern Tanzania. 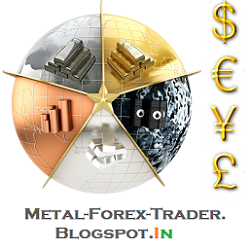 This is joint venture project with IMX Resources. IMX has already agreed with MMG for this JV investment project of $60 million last year for a high grade mineralization at Nachingwea. This has marked the culmination of exploration effort, worth $50 million, over 8 years and has identified as the world class nickel sulphide province in southern Tanzania. Gary Sutherland, IMX Resources Limited Managing Director said that the drilling would test a host of wide, greenish and advanced nickel sulphide targets, which was discovered during the MMG’s recent soil sampling and geophysics programs. Gary Sutherland said that the extensive new investment reflected the joint venture partners’ strong belief that the Ntaka Hill could become a world-class nickel sulphide province. MMG will mine a set of new targets in order to mark up the high-grade nickel sulphide mineralization. The new targets were uncovered during the step of comprehensive programs led by MMG for the last seven months and this gave a significant breakthrough in the exploration process in Nachingwea. Sutherland also said that the current drilling program wills continue till August 2014 and the drilling program comprises of 14,775m of diamond drilling and 8,700m of RC drilling i.e., a total of 23,000m drilling at Ntaka Hill, Lionja. They also aim at regional areas across the border of Nachingwea Province. Under the JV investment norm, MMG can earn up to 60 percent of the Nachingwea Property as it spends $60 million for exploration and other related activities for a period of five year. The current program is the first part of the JV agreement, in which MMG will earn about 15% share by investing $10 million by this year September. The first results are expected to flow out in early next quarter. 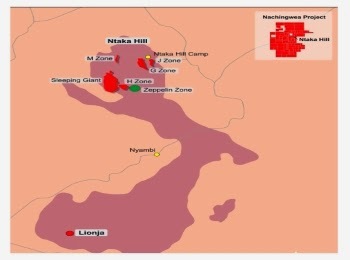 The Ntaka Hill Nickel Sulphide Project is located on IMX's Nachingwea Property of south-eastern Tanzania.